12 pp. Roman, 203 pp. 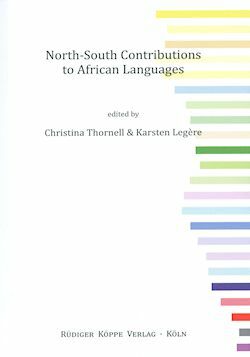 The present collection of papers is a fine contribution towards demonstrating how the cooperation between linguists and language experts from Nordic countries and their partners in Africa results in substantial academic achievements. The papers in this volume address African languages and language problems that pertain to the position and function of national languages in sub-Saharan countries. Given the legacy of foreign rule on the African continent, half a century after the famous Africa Year of 1960 the empowerment of national languages in sub-Saharan Africa is still a de­manding challenge as shown in this volume. The origin of this collection was the 2007 Gothenburg Symposium “Nordic Contributions to Afri­can Languages” in support of the Year of African Languages 2007–08 that was formally launched by the African Union in June 2007. The symposium convenors at Gothenburg University suc­ceeded in bringing together a good number of colleagues from all Nordic countries and Northwest Russia as well as partners from Cameroon (representing the African Academy of Languages of the African Union), Namibia, South Africa and Tanzania. The papers that were subsequently sub­mitted for publication emanated from this meeting.